Britain needs the EU for its security after Donald Trump’s ‘game-changing’ election as US President, says Mr Miliband. 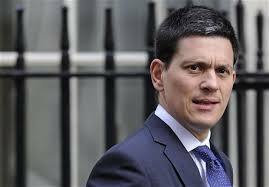 David Miliband has urged Labour to back calls for a new referendum on Brexit in the latest in a series of prominent interventions in domestic politics. Labour’s former foreign secretary said the only way to “avert the damage of Brexit” was to give the public another say on the final deal, setting himself at odds with his party’s official stance on leaving the European Union. Mr Miliband argued that Donald Trump’s presidency had acted as a “game-changer”, empowering autocracies such as Russia, Turkey and China to fill the vacuum and leaving Britain at the mercy of larger powers. The timing of his comments is likely to raise eyebrows, as it comes after a difficult week for Mr Corbyn where he was dogged by a row over alleged antisemitism within Labour’s ranks. Writing in the New Statesman, Mr Miliband said: “Brexit is bound to have political consequences – for the international order and for Britain. Pointing to the Salisbury nerve agent attack, he said the UK needs Europe to “curb Russian rogue state behaviour” and described Ms May’s efforts to secure security cooperation with the EU as “damage limitation”. Mr Miliband accused both the Labour and Tory leadership of an “appalling act of short-sightedness” in starting the two-year countdown to Brexit in March 2017, before either side had really prepared for it. He went on: “Now they are uniting to say that it is too late to think again. That isn’t good enough. “It leaves Parliament to speak up for the foundations of our security and our place in the world – to warn about the dangers ahead and to give people the chance to have a final vote on the final deal. Brexit has caused deep rifts in Labour, as the party tries to square the demands of its pro-EU supporters with Leave voters in its traditional heartlands. Labour frontbencher Owen Smith was sacked from his role as shadow Northern Ireland secretary last month for calling for a second referendum, after Mr Corbyn made it clear that he believes the 2016 result must be honoured. Mr Miliband, who is now president of the International Rescue Committee (IRC), a humanitarian charity, has become increasingly critical of the Labour leadership in recent weeks.He said Mr Corbyn “sounded like President Trump” in calling for dialogue with Vladimir Putin after the poisoning of former spy Sergei Skripal and his daughter Yulia last month. Mr Miliband also waded into Labour’s antisemitism row, saying the party had been dragged into “disrepute” by the leadership.